Autotrader produces top 10 list of cars for new degree holders. 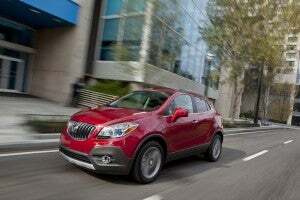 Autotrader tapped the 2015 Buick Encore at the top choice for new graduates. Graduation season is here! For many college graduates that means big parties, envelopes stuffed with congratulatory cash and the start of their lives. Some of that cash may be used for an immediate need: a new car! However, there are many choices and what is best for one graduate may not work for another. Fortunately, Autotrader has compiled a list of possibilities. 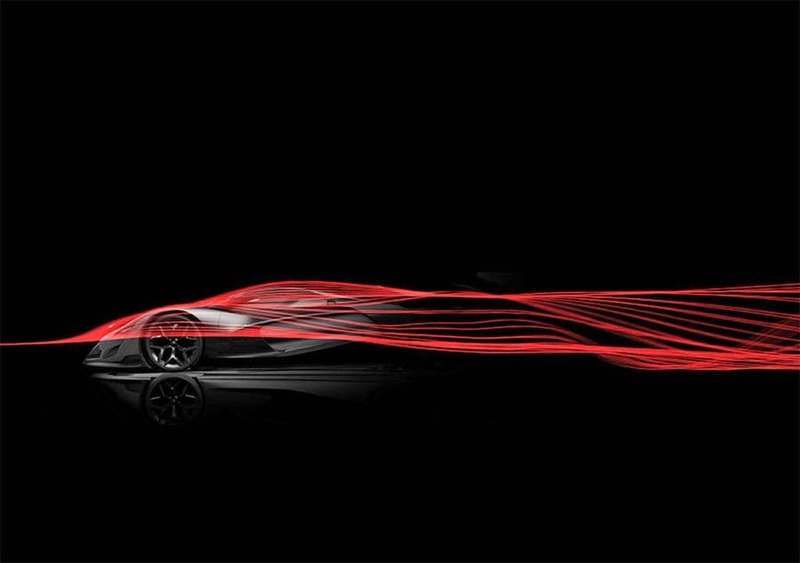 Sports car set for videogame debut, but is production possible? All in the game? SRT is set to jump into Gran Turismo 6 with its SRT Tomahawk sports car. 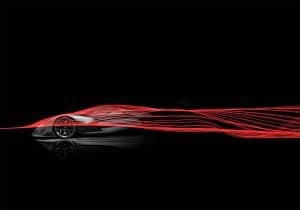 Fiat Chrysler is offering up another, more detailed tease of its SRT Tomahawk Vision Grand Turismo, with plans to fully unveil the radical sports car next week. For now, at least, the maker is stressing that the single-seat hybrid will “be released exclusively in Gran Turismo,” the wildly popular Playstation race program that has drawn a variety of other makers, including General Motors, BMW, Volkswagen and Mercedes-Benz, to come up with their own wild rides. For those with long memories, the Chrysler side of the trans-Atlantic automaker used the Tomahawk name once before. Around the turn of the millennium, the company introduced an oversized motorcycle powered by a Viper V-10 engine. Chrysler discussed a limited production run but the program was eventually scrapped. Could tie-up with Fiat Chrysler be the future? Apple's Jeff Williams hinted the company may be looking at moving into the auto industry with more than its CarPlay infotainment system. Even as General Motors announced plans to become the first automaker to put the Apple CarPlay infotainment system into 14 new Chevrolet models next year, the Silicon Valley tech giant dropped some new hints it could soon challenge GM on the car-making front. In recent months, there’s been widespread speculation that Apple will launch a high-tech, battery-powered vehicle in the near future. According to a February story in the Wall Street Journal, the effort is known within the traditionally secretive Apple as Project Titan. Toyota leads auto pack with 4,300-plus inventions. Despite the news about Google's push for autonomous vehicles, the rate of innovation in the auto industry fell in 2014. 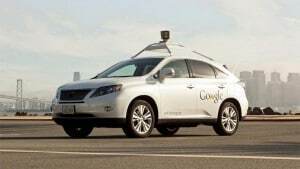 Despite all the talk of driverless and connected cars, a new study suggests that the pace of innovation in the automobile industry has actually slowed in the past year. Process helping them win, both on track and on the street. 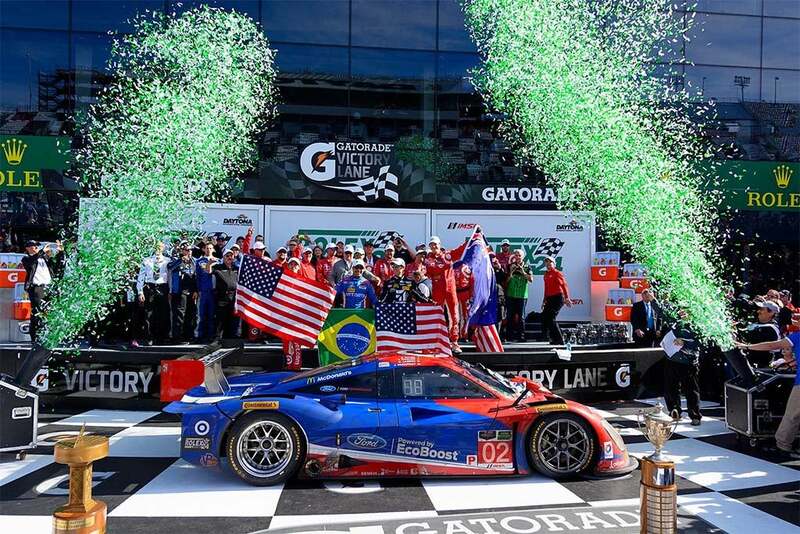 The Chip Ganassi Ford Prototype taking the win at the Rolex 24 race at Daytona. 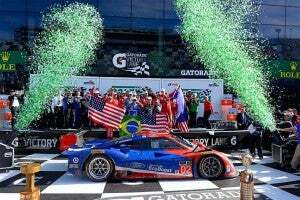 When the Chip Ganassi Racing Ford prototype blasts out of the pits during the TUDOR United SportsCar Championship race at the Belle Isle Grand Prix in Detroit this coming weekend the team will aim to repeat the win it scored during the Rolex 24 at Daytona. The No. 01 prototype will be powered by a Ford EcoBoost engine, with about 70% of the twin-turbo V-6’s parts street stock. Among the parts customized for the track was an intake manifold that was little more than a vat of goo and a digital file prior to the Daytona race. Ford turned to 3D printing rather than conventional manufacturing methods for the manifold and several other components. Total number of vehicles subject to action remains at 33.8 million. Automakers are adding more vehicles to their lists of vehicles subject to the Takata airbag recall. Automakers are fleshing out their roll call of vehicles impacted by the expanded Takata airbag recall in the U.S. and Fiat Chrysler added 4.5 million vehicles to its tally. The total number vehicles being recalled is 33.8 million. FCA’s recall, which is 5.22 million vehicles worldwide, involves the 2003 to 2011 model years. Most of the vehicles have been involved in previous recall campaigns, the automaker said. Letter warns members about easy of access by hackers. 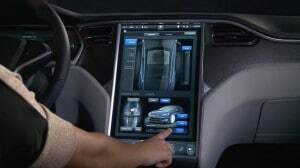 The $10,000 challenge to computer hackers to break into Tesla's Model S controls proved how easily someone can gain access to in-car computer systems. The recent news that anyone can shut down an iPhone with a simple text is a reminder of how easy it is to get hacked. The fact that new vehicles are often described as rolling computers only stokes fears that your car may not be safe from someone sitting behind a computer screen thousands of miles away. In a week where Hyundai and General Motors joyously announced they would be adding Android Auto and Apple’s CarPlay as options on some of their models, concerns about how those systems might enable hackers to gain access to vehicles have been raised. Ford GT maker lends expertise to new battery-powered cabs. 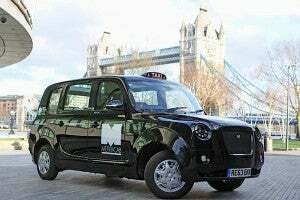 Metrocab is replacing the old traditional black cab in London with a new EV cab that meets the city's stringent pollution rules. The old-fashioned black taxi cab that used to roam the streets of London is being re-born as an extended range electric vehicle dubbed the Metrocab, which is now slated to go into volume production next year with help from a Canadian company. The Metrocab will be the only zero-emissions-capable black cab currently operating in London, according to Frazer-Nash Research Ltd. and Ecotive Ltd., the companies proposing to build the new cab, starting next year in Coventry, England, through a new partnership with Canadian manufacturing company, Multimatic. Detroit maker hiring 200 new engineers for battery-car efforts. 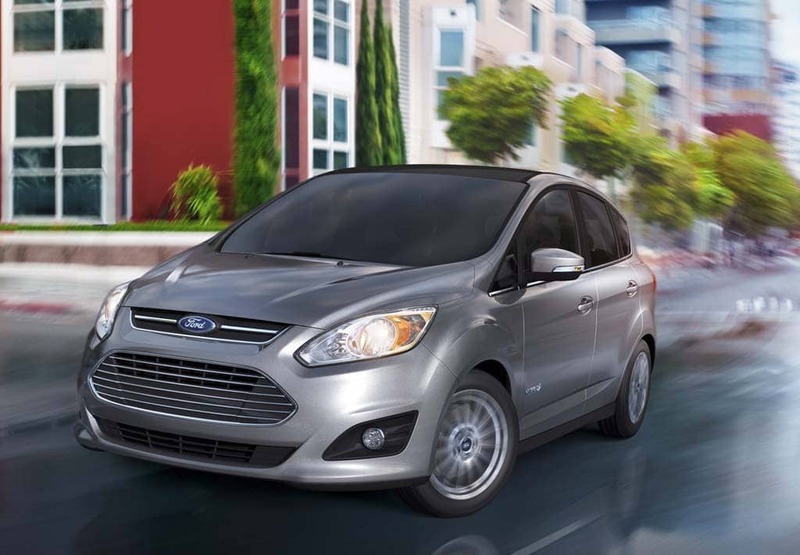 Ford's C-Max Energi plug-in hybrid is one of the maker's six electrified vehicles. Ford is opening up its portfolio of patents and offering competitors access to those covering electric vehicle technologies. Just last year, Ford filed for 2,000 patents in the U.S., of which 400, or more than 20%, were related to EVs. The move comes a year after CEO Elon Musk offered access to the patent portfolio of battery-carmaker Tesla Motors. Unlike the California start-up, Ford isn’t providing its intellectual property rights for free. But Ford’s move isn’t simply to get the licensing fees. Automakers partner up to cut costs, expand product lines. 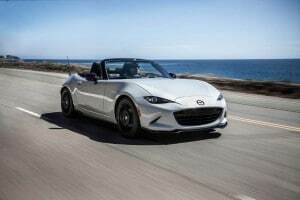 The new Mazda Miata was developed as part of a joint venture with Fiat. When the new iA comes to Scion showrooms later this year, it will mark the first time Toyota’s youth-oriented brand has offered a sedan. To bring it to market, Scion sought out some help, largely repurposing a 4-door model developed by smaller Japanese automaker Mazda. Toyota also will use the subcompact Mazda2 as the starting point for the next version of its small Yaris model – which will be assembled at a new Mazda plant in Mexico. Confused? You’re not alone. It takes more than just a scorecard to keep up with the convoluted alliances in today’s increasingly competitive auto industry. Hoping to add more models to their line-ups while at the same time driving down costs, traditional competitors are finding advantages to working together.